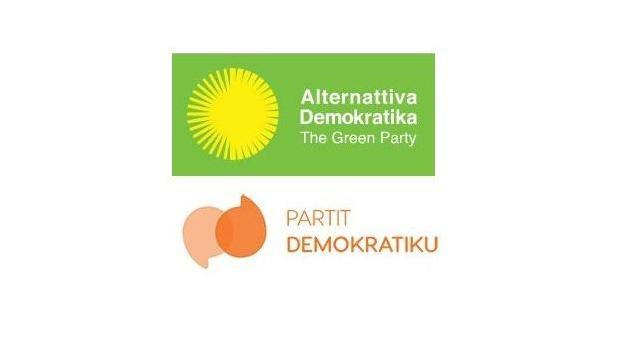 Alternattiva Demokratika and Partit Demokratiku have been exploring avenues of cooperation for the past weeks. In separate statements, both parties said that, at the request of AD, various meetings were held in the past weeks. The meetings concluded that although formalising the relationship between the two parties was not opportune at present, they both needed to coordinate their efforts to "serve the country in the best way possible." In another statement, PD deputy leader Timothy Alden encouraged people voting for candidates on the PD list to continue onto the AD list. "They can then consider the larger party candidates they prefer. This will maximise use of our voting system in support of the third party."